"When Can't Explain was a hit, The Who would come down to the Ealing Club and tease us. We would be up on stage going, 'You bastards!' We had a great rivalry." - Ronnie Wood. Ronnie Wood has created a series of new drawings inspired by the content of his recently discovered 1965 diary. 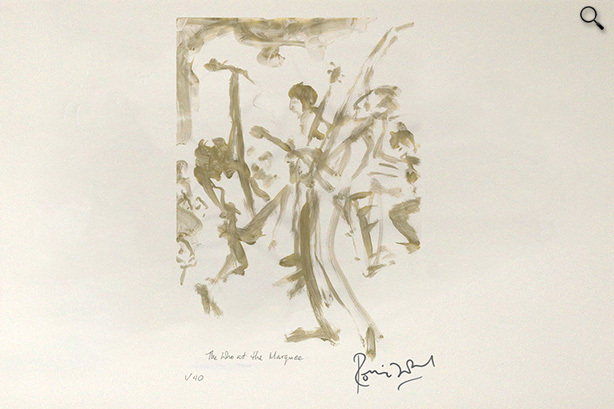 Ronnie Wood: "I just closed my eyes, opened them, and drew what was photographically in my mind after all those years. It all comes flying back." Copyright © 2019, Hedleys Booksellers. Site by Technology Solutions.